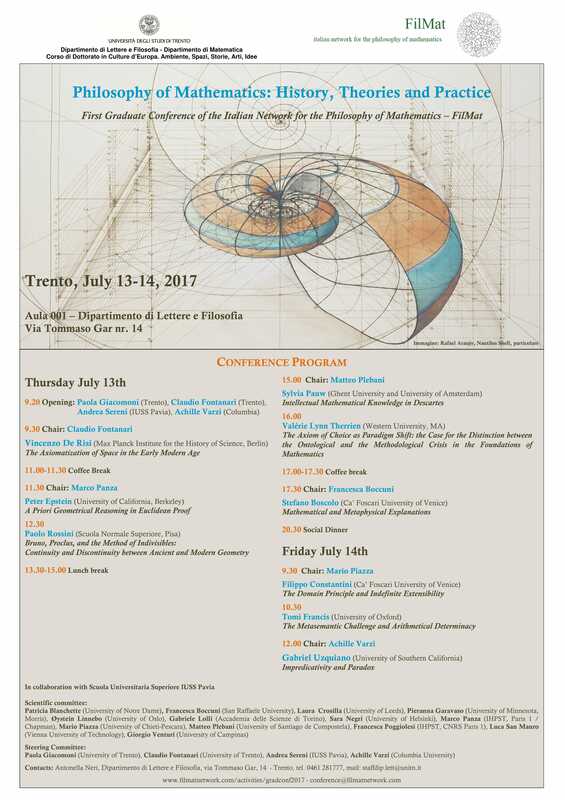 The FilMat network is now promoting its first Graduate Conference, Philosophy of Mathematics: History, Theories and Practice, that will take place on July 13-14, 2017 at University of Trento. Please, visit the conference website for the call for papers, the program, directions to University of Trento, and for suggestions of suitable accommodations. Questo articolo è stato pubblicato in Uncategorized il febbraio 7, 2017 da filmatnetwork.